Enright Cattle Co. No ratings yet. 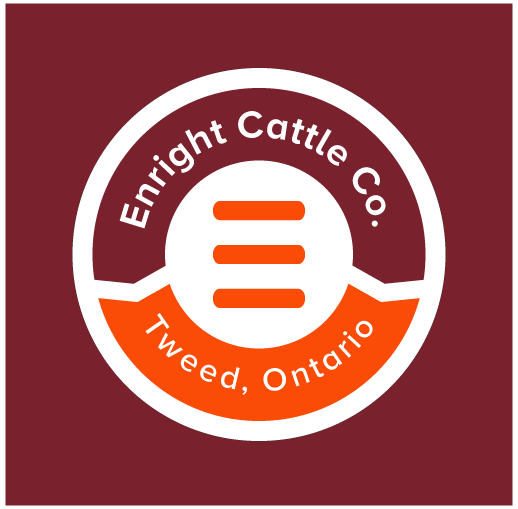 Enright Cattle Company is a family owned farm located just south of Tweed, Ontario, the farm raises purebred black and red Simmental cattle. Their philosophy is to raise the best quality product possible while maintaining exceptional animal welfare practices, making environmentally conscious decisions and building a sustainable business in agriculture. All animals on the farm are raised on a natural, all-vegetable diet without the use of artificial hormones.